Heineken has released a film of Irish and English rugby supporters being forced to sing together, as part of an attempt to whip up interest in a new website for all fans of the sport. In a stunt designed to bring to life the idea that good things happen when fans work together, the beer brand invited the fans to watch the Ireland vs England game in a bar, turned the beer taps off and set the fans a challenge to get them back on. 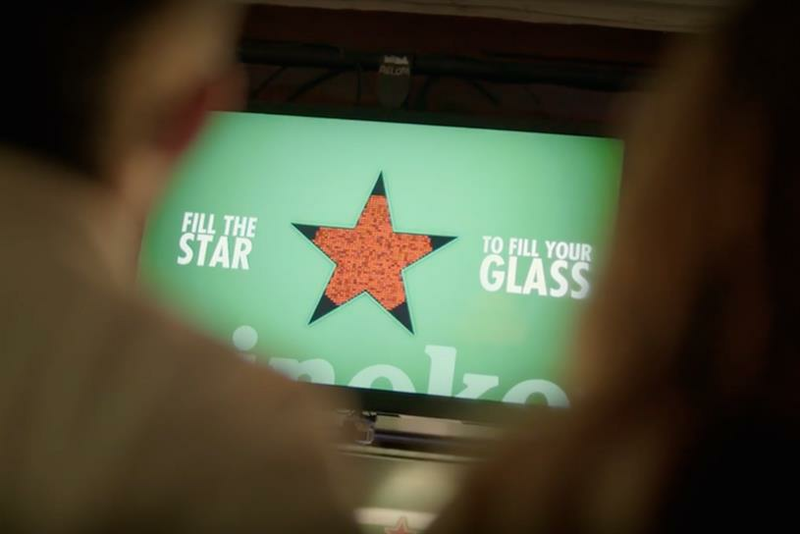 The video promotes the launch of Heineken Rugby Club, which is not a new team, but a website intended to help fans to make the most of matchday social opportunities by offering a guide to cities and pubs hosting rugby. In return for registering their details people can become members and get special offers and entry to a lottery for match tickets. Marketing for heinekenrugbyclub.com is initially focused on Ireland but will be expanded to other countries in a number of stages this year. Heineken was one of the global sponsors of the Rugby World Cup and is also a sponsor of the European Rugby Champions Cup and Challenge Cup. However, its rival Guinness is a sponsor of the English Aviva Premiership and the title sponsor of the Pro 12 league, in which Irish, Northern Irish, Scottish, Welsh and Italian clubs play. The stunt was carried out by Irish agency Rothco. Karl Donnelly, sponsorship marketing manager at Heineken Ireland, said: "Heineken has a enjoyed long-standing, meaningful relationship with rugby and the Heineken Rugby Club is our exciting and ambitious plan to celebrate rugby fans in a way that’s never been done before. "Heineken Rugby Club will look to bring fans together by shining a light on what makes rugby supporters great by giving them a fresh, new way to enjoy the game they love on and off the pitch."